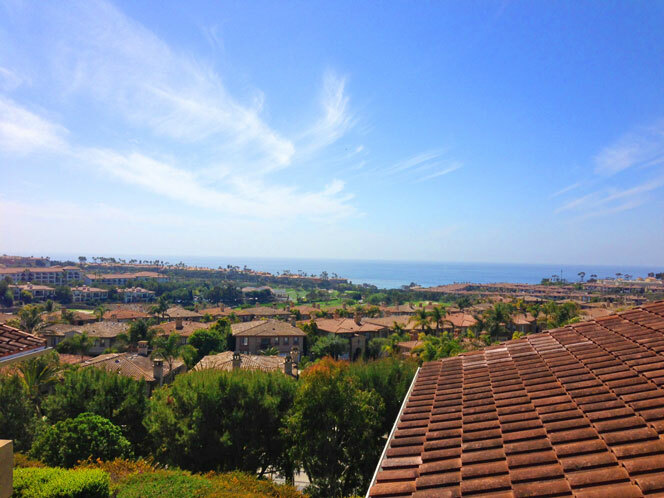 Monarch Hills condo community in Dana Point is located in the Ritz Cove gated community that is home to many luxury neighborhoods within the guard gates. Ritz Pointe mainly consists of single family homes except for the condos at Monarch Hills. Located at the entrance of the community are 36 four story buildings that have some of the most affordable prices in all of Dana Point. These condos are some of the best price condos in the area and typically sell in the $200,000 to $300,000 range. Condos located on the front row with direct ocean views as pictured below are the most sought after and typically sell in the high $300,000 to low $400,000 range. All the current available Monarch Hills condos for sale and for lease are listed below. Please contact us with questions regarding any of these properties. 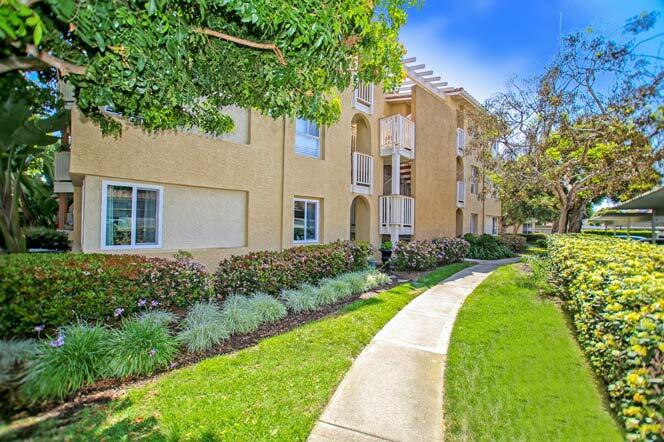 The Monarch Hills condos were built in 1989 and feature many different floor plans of 1 and 2 bedrooms condos. The condos themselves tend to be on the small side ranging from 745 to 1,200 square feet of living space. I've shown these condos many times and they have some of the best floor plans which make the living space feel much bigger than it actually is. Also, many of the condos have wrap around decks or patios which allows for extra space in the unit. The community has a nice clubhouse and pool area and plenty of guest parking. One of the nice benefits of this complex is that it's located in a guard gated community which adds extra security for your unit. Monthly association dues currently run $289 a month for the Monarch Hills community and an additional $80 a month for the Master association.